Holiday Beauty Glam and More on Snobbydiva Instagram! New York City-based raw denim brand AKings New York turned New York Fashion Week into a canvas for its raw denim collection. 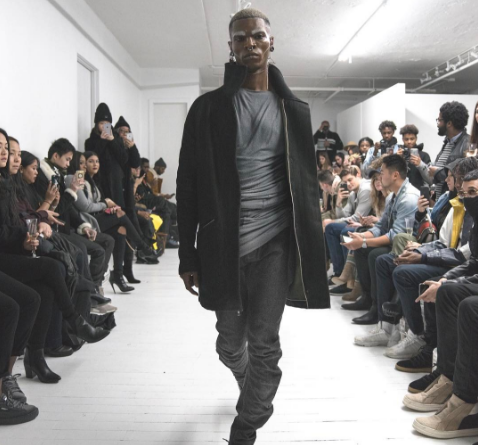 The winter NYFW shows are barely in the rear view mirror with interest in AKings growing and its founder Alan King focused on Asian sourced denim. King told Snobby Diva that the 15-ounce raw denim is sourced from Japan since the weight is higher than the average 12-ounce denim typically found in the United States. The runway show didn’t disappoint with the jeans displayed as fashion and art. The show was a treat for denim enthusiasts and fashion lovers of all types. You can watch the Youtube video below or a closer look at AKings website. Copyright © 2019 Snobby Diva. All rights reserved.